Yesterday I saw the Hobbit – The Battle of the Five Armies, and wrote a short scathing critique of the movie on metacritic. This third episode is simply a long series of fights interspersed with some dialog. However, besides giving criticism I want to learn from such movies, so I am going to write a few short notes the story telling in this episode. The biggest problem is that Jackson wanted to make an epic movie that mirrored Lord of the Rings, but the Hobbit wasn’t enough of an epic book to provide the material for such a tale. In fact the book reads as a bedside story the kind a parent tells to one of his kids just before sleeping. The hobbit is the kid undergoing the adventures in a world where magic and magical creatures exist. A wondrous tale of adventure and danger ending with treasure and the defeat of a mean dragon. Because the story lacked body, it got expanded.. 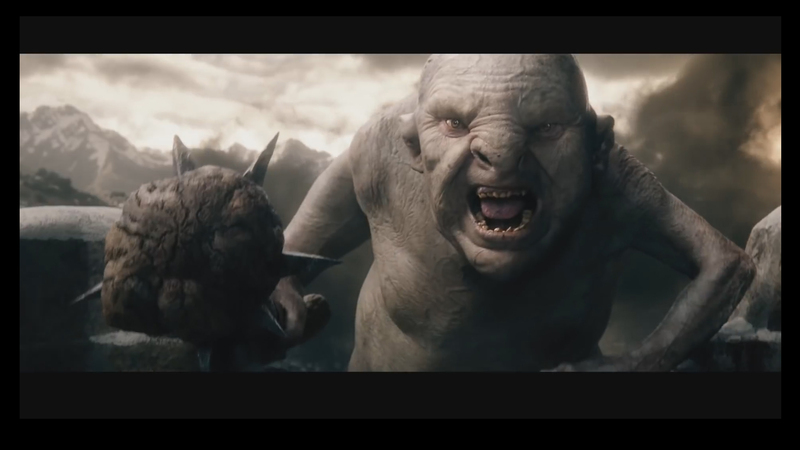 Hence the introduction of Azog, the orc, the addition of a love story between an elf and a dwarf and the adding in of a fight between Sauron and the good powers.One can be against adding such extra stories, but in itself I find this neither good or bad. You might not agree with it, but it doesn’t make for a good or bad tale merely because something is added that wasn’t in the original book or, the opposite, because something was left out. To a certain extent a movie maker is at liberty to do whatever he or she wants with his movie, although if a movie maker changes too many things in the story, he or she might probably have to change the title to be fair to the original book or writer. The problem with the last entry in this trilogy is twofold. The lack of things to tell becomes glaring obvious and what is added never feels part of the overall story as it doesn’t integrate well.The effect is that story telling suffers. But how can this happen while at the same time so much is going on? In fact.. there is so much going on you might think that having enough to tell is the least of Jackson’s problem. Yet at the other hand; there is nothing much to tell either. This sounds like a contradiction, doesn’t it? The party: a lot of dwarves and a hobbit. 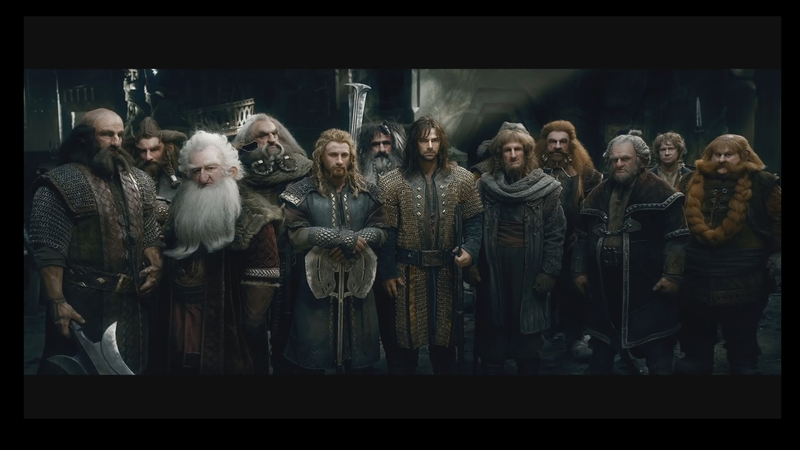 While having many dwarves with their own personalities in the movie is nice, it is a bit wasted as few get the attention they need. Less dwarves with more story might have been better for the story line. The issue is that Jackson doesn’t seem to focus. He wants to do a lot, but never concentrates on a single thing. Even with the massive cast he already has( the thirteen dwarves, a hobbit, bard, Gandalf, beorn, the elf king, the bad orc) he still adds more, like Alfrid the side kick of the master of the town who he made up himself(why if he already had the master of the town to fill that role) and Legolas, who isn’t in the book and could have been left out because he will get a big role to play in the lord of the ring movie. And he still adds more. 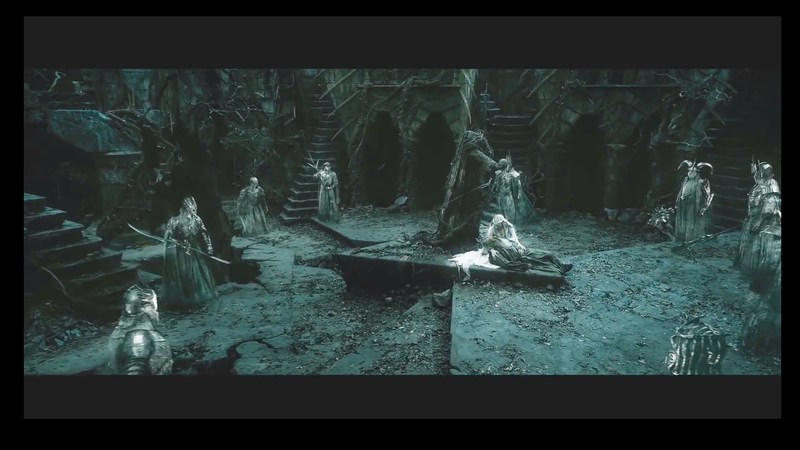 Saruman, Sauron, Galadriel, Elrond all put in an appearance to add an extra scenes that feel like filler. And of course Radagast is in it too. And if that is not enough he adds a love interest for the dwarf Kili. In fact he has pretty enough of stuff to tell. Like Thorin getting greedy and the impending conflict with the townsfolk. 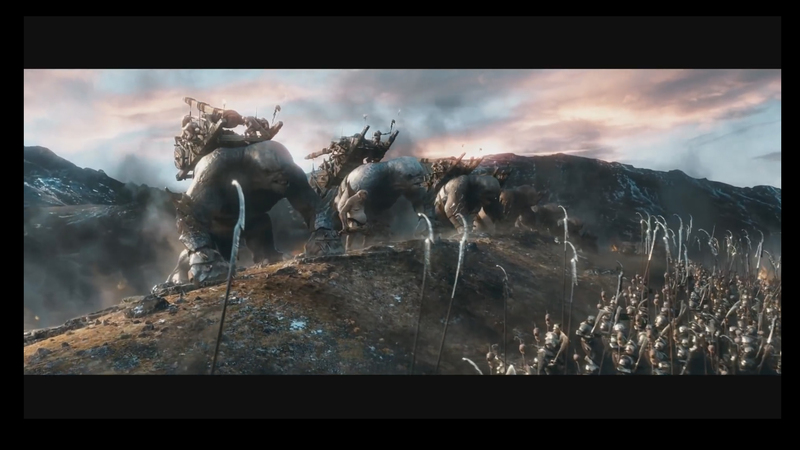 And the battle between the five armies would have in itself given enough to tell about. Ironically Jackson resembles Thorin in that he sits on a stack of stories that is more than enough to make for good movie but he wants to add more and more. He hurries from one scene to the next, never giving enough time for things to develop. Like for instance the relation between Tauriel and Killi feels just rushed. What than can we learn from this? You and I have heard this before. 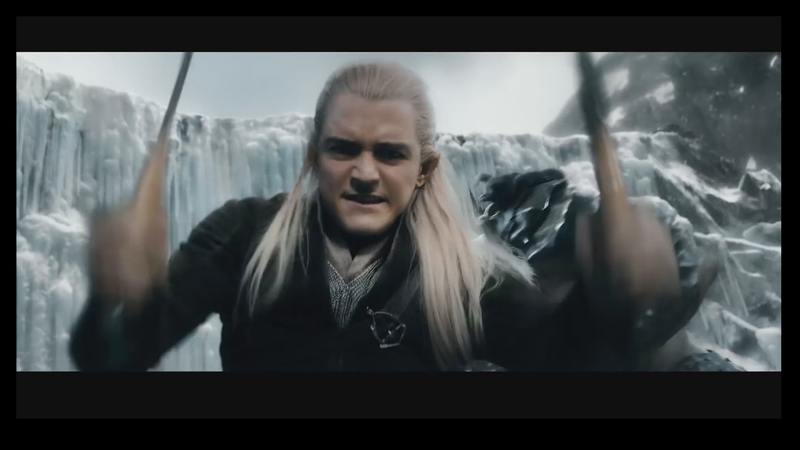 Leave out the things that do not really belong to the center story.Legolas could have been left out. Like Alfrid, Radagast. Saruman, Sauron, Galadriel: they are are superfluous. I am not against the introduction of Tauriel. I actually thought it was a good idea, but I don’t think the love story with Kili was such a good idea. Elves and Dwarves somehow don’t mix. Perhaps it would have been better to hook her up with Bard. Which might have been too much of a reprisal of the love between Arwen and Aragorn, but at least more believable. Unless you are planning a television series, it’s probably wise to concentrate on just a few characters. Thorin would have been an obvious choice. Bilbo of course, perhaps Bard and Tauriel. Four characters that we follow that can be paired. Thorin with Bilbo.. Bard with Tauriel. Legolas: could have been left out the story. Tauriel could have filled in. Thorin was a great character with his faults and as such I think he was probably the best of the characters. We could see him change, make wrong choice and at the end he changes and become the great king he wants to be. Bilbo we see change from a reluctant bumbling hobbit into a brave hobbit that does the right thing when Thorin doesn’t. It leads to betrayal. It is the ultimate setup for a good storyline. Bard was a character that should have been worked upon. He could have been given some weaknesses that either make him change or make him a hero. He could have been a glory hound for instance, believing himself to be marked out for glory from the start. Maybe he should have been portayed as a kind of William Tell. Perhaps he was even a poacher and that is where he knows Tauriel from. Gold! Gold! Gold! It is the MacGuffin in this movie. Tension between characters make for a good story. 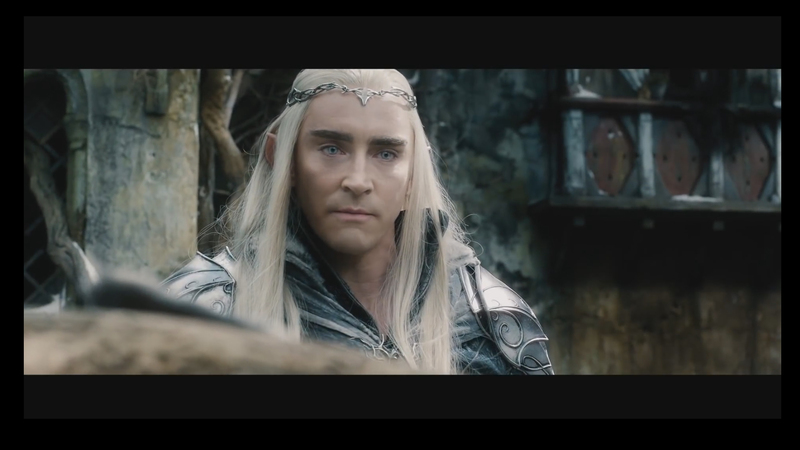 It would be obvious that Thranduil would collide with Thorin. This could have been made more complicated by a relation between Bard and Tauriel which might be souring the relations between Bard and Thranduil, who are allies opposing Thorin initially. The master of the laketown could have been give a kind of secondary role in opposing Bard. Since Bard claims the right of rule while the master is an democratic elected ruler. This could be done with all the available characters with the need to add or change things too much. Of course it would require some additional writing and some additional acting. Thranduil: he should have been the real mover of things. He was bound to clash with Thorin. Have him oppose a relation between Bard and Tauriel and we have a hefty complex situation as they are both rivals and allies. One thing that perhaps needed to be done is wrapping the story line up. The Hobbit feels rushed and drawn out at other times. 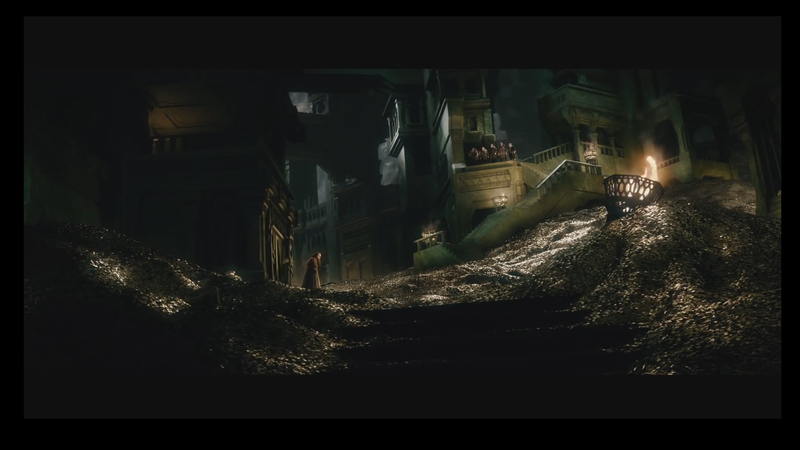 When the battle is won, the orcs are defeated and the next moment we see Gandalf and Bilbo in a very long end scene in which Bilbo say farewell to Gandalf travels towards his house where they are selling his property because they believe him to be dead.It is a strangely long out end scene. Instead we do not get any idea what happened to everyone else. It isn’t really wrapped up neatly. It might be the cgi that many hate, but it I find it marvelous nevertheless. Cgi. I am not actually opposed to cgi as many seem to be. It can certainly help in the story-telling. These then are some quick notes about the movie. I hope to add some more later.